In Order To Transform Your Business, You Must Begin With A Solid Digital Marketing Strategy! If your business is struggling online, and not generating leads or acquiring new customers, let's fix that. We find that most challenges companies face online can be narrowed down to one thing... no focused strategy! 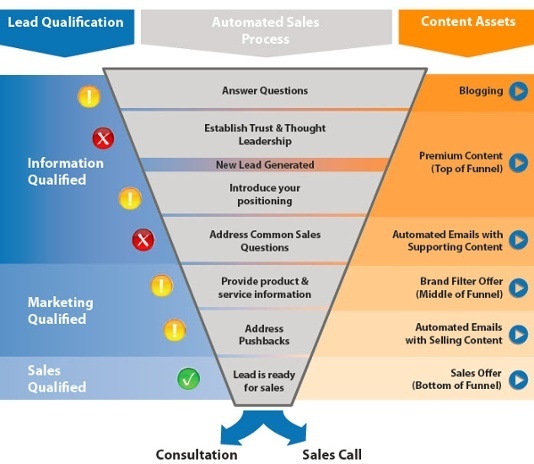 Lead Generation & Sales Can Be Hard! But they don't have to be. Here at Bernco Media, we have seen it all when it comes to Digital Marketing, Inbound Marketing, and Sales, and the one commonality across all failed attempts we have seen is one thing... lack of strategy and use of incorrect tactics. Are you an existing HubSpot customer that is looking to get more out of the software? Do you feel that you are in need of a proper strategy that you can execute on immediately? Or maybe you are in need of some coaching? Either way, let's have a conversation. Don't get me wrong, Inbound Marketing is fantastic. But it's not the only tactic you should invest in. Facebook, Instagram, and YouTube are where your customers are, and if you need help generating quality leads from these networks, book some time to chat with me today. Does your company or organization need a presenter for an upcoming event or training? Have Doc from Bernco Media speak about all things Inbound, Content, Email and more. Doc is also a HubSpot Certified Trainer. So, if you would like a specific HubSpot workshop, let's chat! 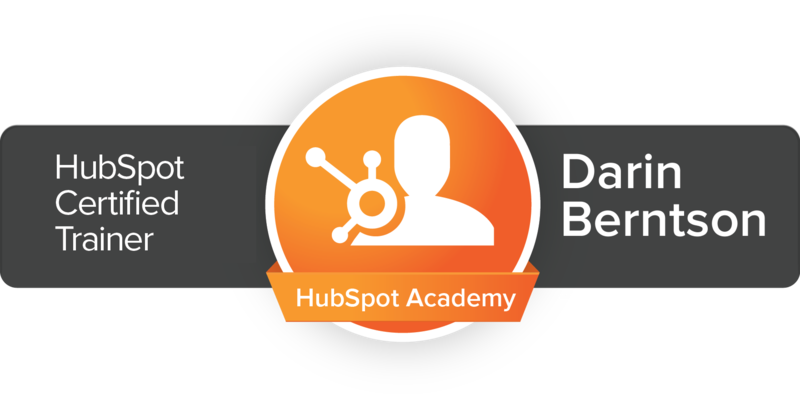 Are you a current HubSpot User, or Considering It For Your Business? HubSpot is a big and sometimes confusing platform. I have found that most companies I speak or work with are only using a small fraction of what it can do. It usually comes down to not having defined goals or a comprehensive strategy. This all ends now because here at Bernco Media, we are 100% Strategy First! Oh, and NOT lock you into some long-term contract. Ewwe, gross! Bernco does not play that game! We will work to develop a strategy that will deliver the results your business demands. Not some fluffy bunny marketing tactic that does not work! We can show you how to do it, or, we will line up the experts that can deliver the best results for your business, period. Just from these dew stats, you can see that there is a lot still to do when marketing your company online. 63% of prospects are "somewhat" or "not at all" knowledgeable about a company before a sales rep makes the first contact. 40% of salespeople say getting a response from prospects is getting harder. Want to learn more about inbound sales and marketing? You have comr to the right place. We hope you enjoy our educational blog posts. From strategy development, consulting or speaking at events, we absolutely love the businesses we work with. "Bernco Media has been an essential partner in our startup marketing strategy." They helped us consider and find answers to critical questions--how to segment our market, what search keywords we wanted to own, and how to build a sales funnel for our target market. They helped us get up and running quickly with a professional quality, mobile responsive website, that matched our marketing needs. "Doc is an amazing speaker and presenter." I've gotten to attend his speaking engagements a few times, and he's lively and packed full of content. His understanding of inbound marketing and social media are best in class, and he conveys them to audience members, in an engaging and exciting way, with aplomb. I highly recommend engaging him in any capacity. "Darin is very knowledgeable and is fantastic to work with. " He was patient with us as a company as we were moving in many directions, and patient with my demands and goals as he helped us implement a new HubSpot COS for our website, and as we started to formulate our inbound marketing strategies. I can highly recommend Darin and would work with him again in the future. "When your digital marketing is sick, you need help from someone who can listen, diagnose, and prescribe a solution that will get you the results you desire!" Are You Ready for YOUR Strategy? And so are we. But first, let's have a 30-minute call and make sure we are a fit! Schedule your connect call with me today!